So the biggest thing going on in the Chicago area this weekend is the Blue Whiskey Independent Film Festival at the AMC Randhurst movie theatre in Mount Prospect. Actually, Lollapalooza is the hottest thing in town right now but BWiFF has its merits as well. The annual event continues tonight with the feature film Jasmine, a murder mystery set in Hong Kong, and four short films. Tomorrow night, Open Tables, a feature film set in trendy Chicago and Paris restaurants will be screened, preceded by a selection of short films. On Sunday, the activity moves to Star Cinema Grill in Arlington Heights as Blue Whiskey holds its 2016 Blue Glass Awards ceremony, followed the music documentary Ron Pope: One Way Ticket. I’ve covered the Blue Whiskey Independent Film Festival more extensively in previous years, but a busy work schedule wreaked havoc with my blog plans for this week. 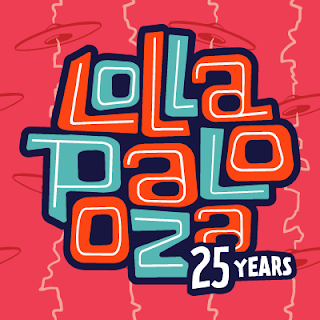 Chicago alt rock station WXRT has plenty of Lollapalooza programming going on this weekend, with backstage coverage from Grant Park and interviews with founder Perry Farrell and several of the musicians performing. Marty Lennartz, a master of the art of conversation, whether he’s talking to a world-famous band, a local act, or even one of the station’s fans, will be doing the bulk of the interviews. You can also find helpful Lollapalooza tips in this week’s Reader, Redeye, and Chicago Sun-Times. If you still have a copy of last Sunday’s Chicago Tribune laying around, there’s a two-page spread in the Arts and Entertainment section with longtime rock critic Greg Kot’s recommendations and a complete grid of the Lollapalooza schedule. Also, the current issue of Streetwise has a rundown compiled by Micaela Berz of Lollapalooza After Party events taking place at Metro, The Vic, Lincoln Hall, House Of Blues, and several other locations. Streetwise has been helping homeless people get their lives together for a few decades now, and its coverage of local entertainment has been particularly impressive lately. Pick up a copy for $2 from one of the vendors downtown. Bobby Elliott, an original and current member of The Hollies, and Danny Handley of The Animals will be performing at a Blues and Rock Evening fundraising event tomorrow, July 30, at Cafe Cargo in Foulridge in the UK. They’re looking to raise funds to preserve an area called the Green Fields of Colne. There will be a showcase of blazing guitars this Sunday night when rock hero Jeff Beck and blues icon Buddy Guy share the bill at Ravinia. Bryan Ferry comes to Ravinia next Saturday, August 6. Tellin’s Tales Theatre’s Classroom Drama - Teachers Tell Tales Out of School. . . wraps up this weekend at Prop Thtr on Elston Avenue. The show features Lily Be, Beth Ann Bryant-Richards, and Tekkie Lomnicki, along with a Substitute Teacher for each show. Jack Murphy gets his turn tomorrow night when he performs I Was The Walrus, a piece about how he taught a Beatles class at a local high school. Tickets are $20, show time is 8:00 p.m. tonight and Saturday, and 7:00 p.m. on Sunday. You love his books, now see him rock. Noted journalist Ken Sharp, who created the very cool Play On! Power Pop Heroes series (I own all three volumes) will be performing at the Molly Malone’s club tomorrow night (July 30), as part of International Pop Overthrow - Los Angeles. L.A. is the birthplace of the David Bash-founded International Pop Overthrow. Tickets went on sale this past Thursday for the Robyn Hitchcock show with special guest Emma Swift at City Winery Chicago. Elsewhere on the concert scene, Guided By Voices are coming to Metro on September 3. The trailer for director Ronny Howard’s documentary The Beatles: Eight Days A Week - The Touring Years has been popping up on various websites (Huffington Post and Rolling Stone, for example) and it looks like all that performance footage of the band’s early days is going to make for some fascinating widescreen viewing and listening. L7, known for provocative, hard-edged, and melodic tunes like “Pretend We’re Dead” and “Shitlist,” will be rocking down the walls at Metro next Saturday night, August 6. Who’ll stop the rain? A concert by The Fortunate Sons, a Creedence Clearwater Revival tribute band scheduled for tonight at the outdoor Fred P. Hall Amphitheater in Palatine, was cancelled due to complications with the weather. 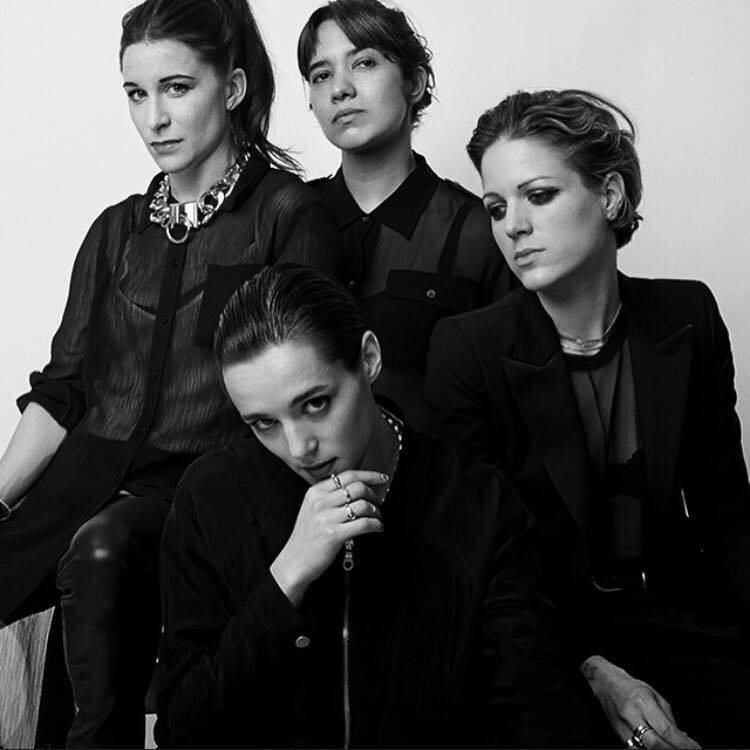 Sidewalk Society was one of the acts recruited by the UK indie label Fruits de Mer for its limited-edition Fashion – Songs Written By David Bowie album earlier this year. 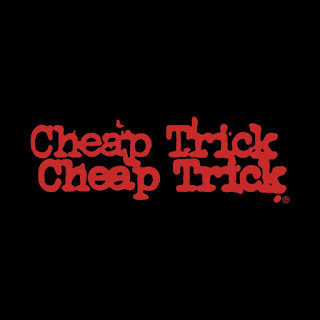 The California-based trio’s cover of “Can’t Help Thinking About Me” will also soon be available on its own self-titled, colored-vinyl EP, due out on FdM in early August. The other three tracks are also covers—Bowie’s “Let Me Sleep Beside You” and a pair of songs originally done by the less-famous but still tribute-worthy English band The Action. 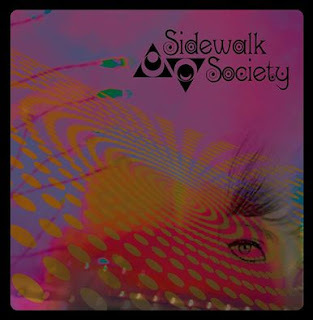 Sidewalk Society has covered The Rolling Stones and The Kinks in the past, and they’re at the top of their Brit Invasion game again on this effort. David Bowie is often thought of as having emerged in the 1970s, but his “Can’t Help Thinking About Me” single was released in 1966. Sidewalk Society’s version calls to mind the earliest work of The Who, thanks to Jerry Buszek’s propulsive drumming. At the same time, the vocals (I’m not sure whose since Buszek, guitarist Danny Lawrence, and bassist Dan West are all listed as singers) capture Bowie’s charismatic approach. The seductive intentions of “Let Me Sleep Beside You” are set to an exotic arrangement that includes a touch of soul as well as string accompaniment. Lawrence explains on the FdM press release that Sidewalk Society used its “passion for great albums of that era” to reinvent a pair of demo versions by The Action. “Look At The View,” with flower power sentiments like, “Sun is shining, plenty of light,” is authentic psychedelia infused with power pop. “Strange Roads” finds Sidewalk Society successfully experimenting with a more hard-edged 1970s rock feel. The trio’s 2012 full-length effort Venus, Saturn and The Crescent Moon is available on its Bandcamp page. Alvvays (pronounced Always) will be one of the headline acts this Sunday night at Wicker Park Fest. 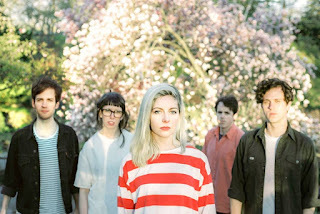 When I reviewed the The Toronto-based band’s self-titled debut on January 26, 2015, I noted, “Lead singer-guitarist Molly Rankin’s ethereal vocals weave heartache within irresistible melodies and twangy guitars in much the same way Dee Dee Penny does with the Dum Dum Girls.” Rocket From The Crypt and The Coathangers are among the other acts scheduled to perform this weekend. There is a $10 suggested donation. Elvis Costello’s Imperial Bedroom And Other Chambers Tour comes to The Chicago Theatre on October 29. Tickets went on sale earlier today. Tickets will go on sale tomorrow morning for the final performance of Brian Wilson Celebrates Pet Sounds 50th Anniversary in its entirety on October 1 at The Chicago Theatre. Al Jardine and Blondie Chaplin will be Mr. Wilson’s special guests. According to a recent post on his Facebook page, Graham Nash will be talking with host Liz Kershaw about his career on the BBC Radio 6 show tomorrow, July 23. The opening performance and after party for Tellin’s Tales Theatre’s Classroom Drama - Teachers tell tales out of School. . . will be held tonight at Prop Thtr on Elston Avenue. The show, featuring Lily Be, Beth Ann Bryant-Richards, and Tekki Lomnicki, runs this weekend and July 29–31. Beatles fans, take note: Jack Murphy will perform I Was The Walrus, a piece inspired by the band, next Saturday night. Minds will be bending to the beat tomorrow night at the Burlington Bar on Fullerton in Chicago when Psychedelic Saturday takes place. The Red Plastic Buddha, the Chicago-based band whose Songs For Mara album came in at number on the 201 Broken Toy Favorite Releases List, will be performing. The other acts on the bill are Dark Fog; Warhorses, coming in from Detroit; and Diagonal, performing its first show. DJ Psyched Alex will keep the music flowing between sets. The event starts at 8:30 p.m.
Last week I mentioned that Matthew Sweet is coming to Park West in Chicago on September 9, and now there’s more good news about that show. Material ReIssue, with singer-guitarist Phil Angotti joining original Material Issue members bassist Ted Ansani and drummer Mike Zelenko, will be the opening act. Tickets are now on sale. Kate Fagan from Chicago’s long-time ska band Heavy Manners, is re-releasing her 1980s solo effort I Don’t Wanna Be Too Cool, with two previously unreleased tracks on August 8. Fagan will be a special guest at the Neo New Wave Thursdays Haven at the Debonair Social Club on August 10 from 10:00 p.m. to 2:00 a.m. If you think the band names 13 Tikis, Amazing Heeby Jeebies, Hay Shakers and Chicago Blues Angels sound fun, you’ll probably want to drop by Braurhouse in Lombard next Friday, July 29 because all of the above-mentioned acts will be sharing the bill. Tickets are now available for Mary-Arrchie Theatre’s Abbie Hoffman Died For Our Sins Festival XXVIII, which takes place the weekend of August 19–21 at The Den Theatre. This will be the final version of the annual virtually non-stop, freewheeling celebration of music, theatre, and comedy. I haven’t missed a single one over the years, and I definitely will be there for XXVIII. The Fortunate Sons, a Creedence Clearwater Revival tribute band that uses vintage instruments and clothing to capture the rambunctious spirit of the Fogerty brothers and company, will be performing at the outdoor Fred P. Hall Amphitheater in Palatine next Friday night. We just can’t keep anything nice around here. The Blue Whiskey Independent Film Festival, which was one of the coolest things in my hometown of Palatine, has moved its operations to AMC Randhurst 12 in Mount Prospect. 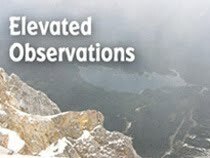 This year’s event, which kicks off Sunday, July 24, will offer five Feature Film Official Selections, 20 Short Film Official Selections, and five World Cinema Selections (Out Of Competition). And finally, just a quick shoutout of support to Leslie Jones of Saturday Night Live, who has been deluged with hate-filled nonsense on social media for daring to take part in an all-female recasting of Ghostbusters. Keep up the good work, Leslie. Because you’re talented, funny, and doggone it, real people like you. For anyone who feels Broken Hearted Toy has been over-saturated with Chicago events lately, here’s a post that’s light years away from my hometown. England’s eccentric and consistently adventurous indie label Fruits de Mer has just launched another batch of limited-edition seven-inch singles on colored vinyl. 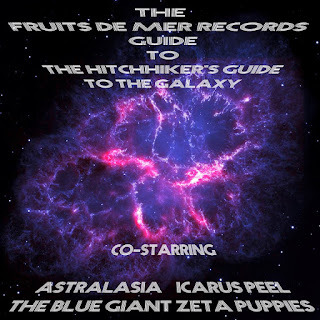 One of those records is a tribute to “Journey Of The Sorcerer,” the theme song from the 1970s UK sci-fi miniseries The Hitchhiker’s Guide To The Galaxy. The hilarious book by Douglas Adams was also adapted for radio and film in the past, and now it’s inspiring psyche/prog rock musicians. 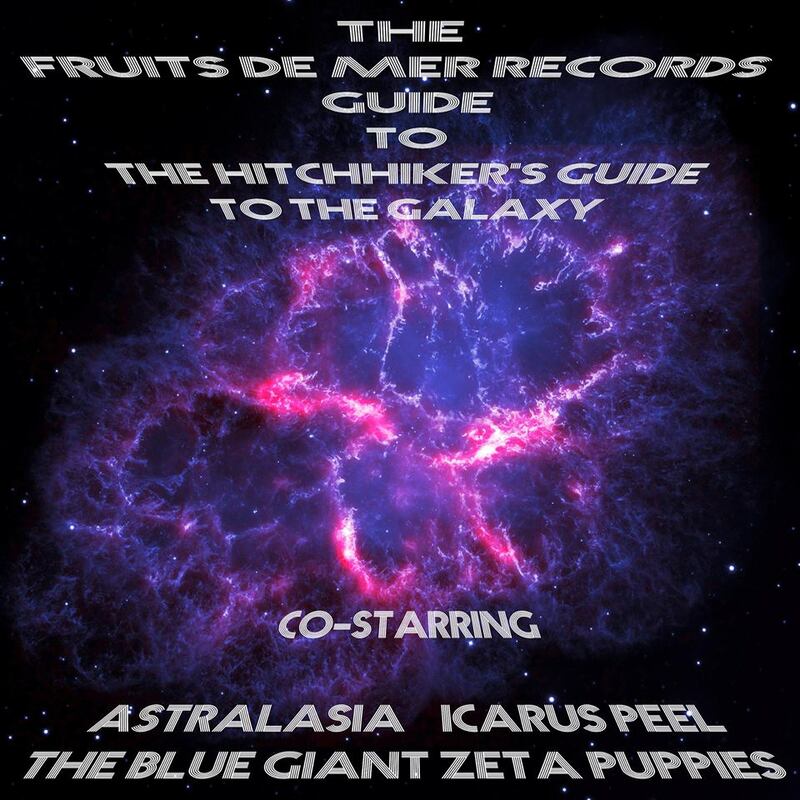 The Fruits de Mer Records Guide To The Hitchhiker’s Guide To The Galaxy, AKA “Journey Of The Sorcerer,” features three different versions of the theme song by regulars from the FdM roster. Each of them comes through with flying—make that warp speed—colors. The three instrumentals on this record are so completely different from each other that anyone not familiar with “Journey Of The Sorcerer” would likely not realize they’re all the same composition. Australasia's version is spacey and triumphant, and the one that most resembles the theme from another cult classic, Doctor Who. Guitarist Icarus Peel takes a more mysterious approach while delving into sultry modern jazz. Blue Giant Zeta Puppies, living up to their rambunctious name, provide some high-energy transportation to the end of the universe. Fruits de Mer has always rewarded its customers, and in this case, anyone who orders “Journey Of The Sorcerer” will get a bonus CD with material by Quantum Surf Rocket Garage Dolls, Australasia, and Pete Bingham from the band Sendelica. 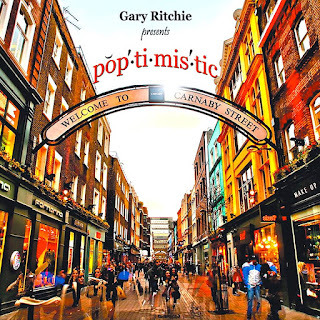 Chicago-based multi-instrumentalist and singer Gary Ritchie’s career in power pop includes his time with one of the genre’s earliest bands Loose Lips. He’s also performed with Mike Jordan and The Rockmatics. As on his earlier solo efforts, Ritchie fills pop-ti-mis-tic with catchy 1960s style arrangements fueled by ringing guitars. His voice can still come across as a little hokey at times, but the lyrics feature clever imagery and wordplay. On the funny and very Beatlesque “Million Dollars,” Ritchie dreams of various achievements—like playing shortstop for the Cubs in a World Series—that would make him more appealing to a woman who has just given him the cold shoulder. “Let’s Pretend” and “Book Of Answers” are catchy pop songs about unrequited love while on “It’s Not Automatic,” it’s the guy who’s bailing on the relationship. “Friend Of Old” has a more somber approach, as Ritchie pays tribute to bass player Tom “Pickles” Piekarski, who was probably best known for his work with The Bad Examples, and widely respected on the local music scene. Ritchie taps into Buddy Holly on “Carol Says” while “Perfect Girl,” about a lifetime infatuation with model in a magazine, evokes an early 1960s sock hop. 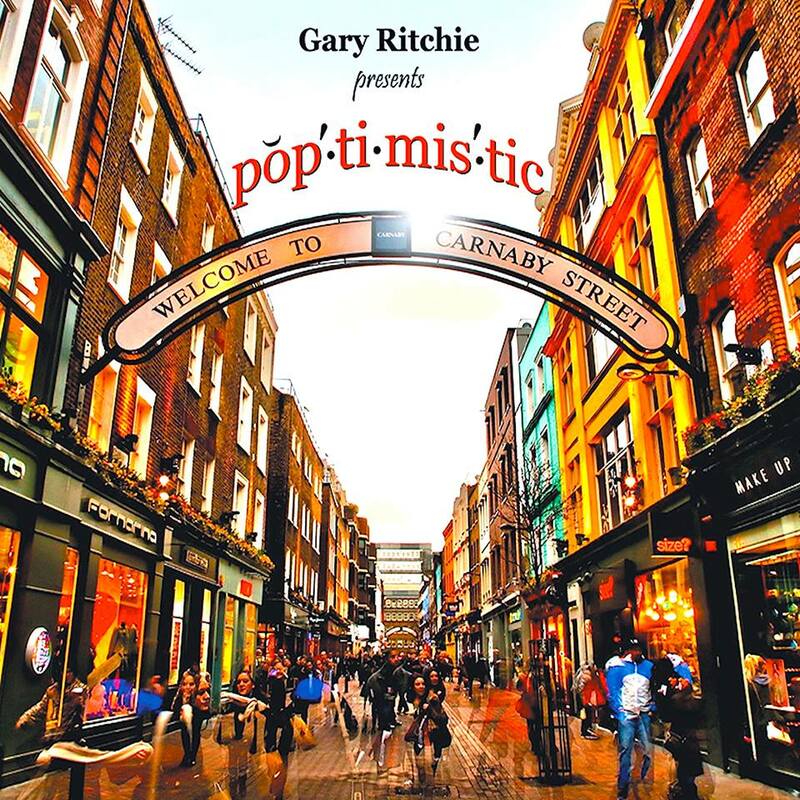 “Subtle As A Freight Train” shows Ritchie at his best, as he tosses nostalgia aside and goes for a harder edged power pop arrangement. Photo from the WXRT website. 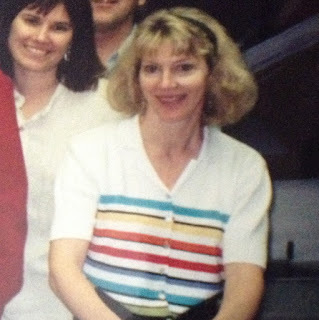 When WXRT news anchor Mary Dixon announced early this morning that Leslie Witt, a longtime air-personality at the FM alternative rock station had passed away from ovarian cancer, I’m sure it shocked and saddened a lot of people. WXRT is a rarity in the radio business in that it has kept the same format for decades while most of its deejays build long-term relationships with their listeners. Even by those standards, Witt’s tenure was an amazing one. She had already been onboard for a year and a half when I did a piece about WXRT for a local free paper called Metro Entertainment Calendar back in 1979. This was when the station was still located on Belmont Avenue. I spoke with her on the phone as part of a series of interviews I did with the air staff. Witt was just as friendly and easy going as she was on the radio as we talked about her “Hangover Special” show on Saturday and Sunday mornings, as well as her 2:00 a.m. to 6:00 a.m. shift on Monday through Wednesday. The WXRT staff paid tribute to and shared memories of Witt throughout today on Facebook, the station’s website, and on the air. Several remarked on the support she gave them, her courageous struggle against her disease, and how she was still going to rock concerts even within the past few weeks. Witt’s family is asking fans to consider making a donation to the Ovarian Cancer National Alliance. The Dandy Warhols are coming to Park West on September 24. Here’s an official Broken Hearted Toy welcome to all of those who have come to Chicago for the Pitchfork Music Festival this weekend in Union Park. It kicked off today at 3:00 p.m. and runs until 10:00 p.m. on Sunday. This week’s edition of The Reader has a rundown on all the acts that will be performing, and carries on the publication’s tradition of having a cool Pitchfork illustrated front cover. Posters of Pitchfork covers from previous years are available from The Reader. Also check out knowledgeable rock critic Greg Kot’s cheatsheet in today’s Chicago Tribune. The annual Southport Art Festival is being held tomorrow and Sunday at Southport and Waveland. Admission is free, and a full page ad in the Redeye newspaper promises live music, but I wasn’t able to find any details on the web. If past Southport fests are any indication, there will be a lineup of about five local acts each day. 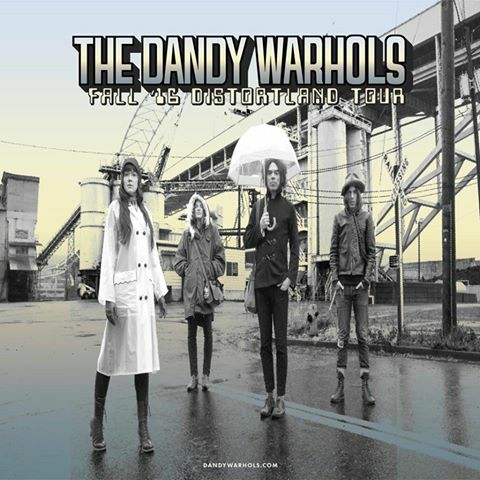 Tickets went on sale today for upcoming shows by Matthew Sweet (September 9) and The Dandy Warhols (September 24) at Park West. Piano accompanist David Drazin will be providing a live soundtrack to Fritz Lang’s highly influential and critically acclaimed silent film Destiny tomorrow (July 16) at 3:00 p.m. at the Gene Siskel Film Center. I first met Drazin back in the late 1980s when we founded the Famous In The Future comedy group with Frank Carr and Lake Sirmon. Minds will be bending to the beat next Saturday, July 23 at the Burlington Bar on Fullerton in Chicago when Psychedelic Saturday takes place. The Red Plastic Buddha, the Chicago-based band whose Songs For Mara album came in at number four on the 2014 Broken Toy Favorite Releases List, will be performing. The other acts on the bill are Dark Fog; Warhorses, coming in from Detroit; and Diagonal, performing its first show. DJ Psyched Alex will keep the music flowing between sets. The event starts at 8:30 p.m.
Self-published author Susan Kaye Quinn will share secrets on how she’s successfully marketed over 50 sci-fi books next Wednesday, July 20 at the Barnes and Noble store in Schaumburg. Quinn is a member of the SCBWI (Society of Children’s Book Writers and Illustrators) group I’ve belonged to for a number of years. Her workshop is titled Series and Serials – Writing Stories That Keep Your Readers Coming Back For More. Freema Agyeman. who played the cool and courageous Martha Jones to David Tennant’s emotionally complicated Doctor on Doctor Who, was in Chicago recently filming scenes for the second season of the Netflix sci-fi show Sense8. The Artist Formally Known As Vince (lots of people get the name wrong and say ‘Formerly’) will be performing next Wednesday at Martyrs’ on Lincoln Avenue. TAFKAV is a fun co-ed indie band that has performed a number of times at International Pop Overthrow - Chicago. New City came out with its annual Music 45 - Who Keeps Chicago In Tune issue, with blues legend and Rolling Stones pal Buddy Guy coming in at number one. There’s a good variety in the choices, which include Chicago Symphony Orchestra music director Richard Muti; musician/producer Jeff Tweedy of Wilco; hip-hop pioneer/actor Common; jam band Umphrey’s McGee, and Smashing Pumpkins. 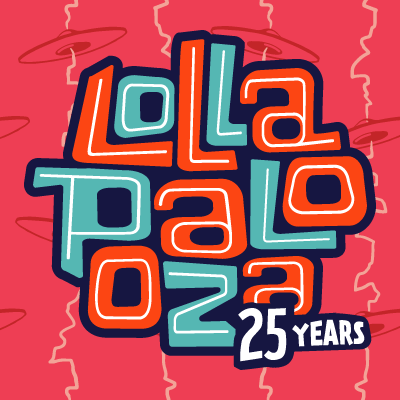 This issue also has a preview of Lollapalooza (July 28–31), along with three full-color pages of Lollapalooza posters. New City is available for free in newspaper boxes and venues around downtown and on the north side. Roxy Swain’s third album Beneath Full Moonlight had its digital release back in April but the vinyl edition came out via a release party at the Elbo Room on Lincoln Avenue just last month. 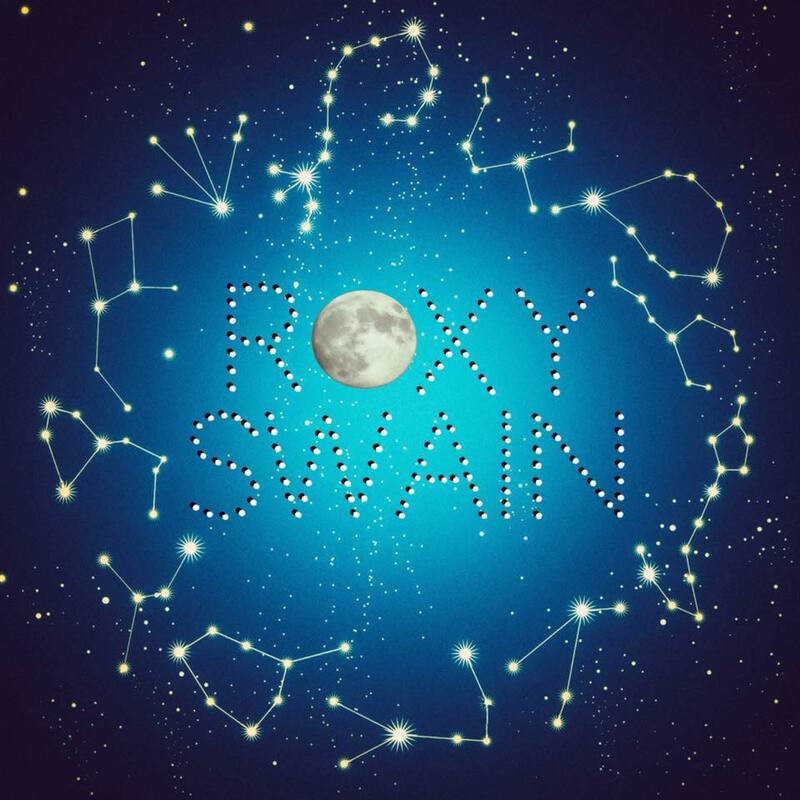 Written by all four band members, these songs once again showcase lead vocalist-rhythm guitarist Roxy Swain’s evocative vocals, while exploring rock, soul, and Country and Western. There’s a variety of emotions at work here as well, mostly set to melodic, mid-tempo arrangements led by Matt Walters on guitar and keyboards. “Set The House On Fire” presents an escapee from an unhappy relationship, and whether the title act was real or metaphorical, she’s feeling empowered and guilt free. An entirely different set of emotions emerges on the Country and Western/alt rock tune “Ash In My Mouth,” as a woman mourns being left behind by someone she loved. Grooving to the rhythm section of drummer Chuck Harling and bassist Jeffrey Altergott, Swain’s at her most playful on “She Who Hesitates” as a woman cruising the dating scene after too many years of waiting for the perfect guy. Walters’ guitar playing propels “The Conversation,” another emotional song about a stagnant relationship. A few songs on Beneath Full Moonlight sound too much the same, but the catchy “Falling Below” benefits from Swain’s sultry approach. “Son” is easily the most energetic track; sounding at times like it could spin out of control. But in a good way. 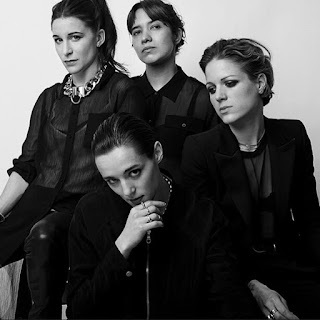 Photo from Savages Facebook page. The Pitchfork Music Festival returns next weekend to Union Park, with a massive schedule that includes Brian Wilson, Savages, Beach House, Broken Social Scene, Twin Peaks, Sufjan Stevens, and Super Furry Animals. Local publication Innerview just put out a full issue devoted to the event. You can pick up a copy at Reckless Records on Madison downtown. Penn Jillette and director Adam Rifkin were in town last night for the Chicago premiere of their gruesome but consistently funny satire Director’s Cut at the Gene Siskel Film Center. There was a private screening and meet-and-greet for fans who had helped out with the movie’s crowdfunding campaign. Jillette and Chicago native Rifkin were also on hand for a second show, providing humor and interesting anecdotes as they took questions from audience members afterward. Chicago indie rock musician Jim Gwynn posted on Facebook that his band JIP, whose recording efforts have drawn praise here on BHT, came close to getting one of their songs into Director’s Cut. The crowdfunding perks included some creative opportunities to be involved in the production. Tomorrow will be a nice day for a “White Wedding” and dancing with yourself as Billy Idol headlines Taste Of Chicago at Grant Park’s Petrillo Band Shell. Idol’s opening act, the Chicago-based and extremely good David Bowie tribute band Sons Of The Silent Age, kick things off at 4:30 PM. The Isley Brothers and Sheila E. will perform at The Taste on Sunday. This weekend’s main concerts at Milwaukee’s SummerFest are Neil Finn and Chris Isaak (separately) tomorrow; and Sting and Peter Gabriel together on Sunday. The Millennium Art Festival takes place tomorrow and Sunday on Michigan Avenue and Lake Street. Be sure to take in some culture before heading off to Taste Of Chicago. England’s always imaginative indie label Fruits de Mer Records recently released a new batch of limited-run colored vinyl seven-inch interpretations of vintage material. German band Vibravoid covers Iron Butterfly’s “In-A-Gadda-Da-Vida” in two parts on one of the new records; California-based Sidewalk Society covers two David Bowie songs and two by The Action on another; and The Fruits de Mer Records Guide To The Hitchhikers Guide To The Galaxy features Australasia, Icarus Peel, and Blue Giant Zeta Puppies. The Powerpop Showcase coming to Subterranean on North Avenue next Thursday, July 14 will include performances by Mooner, Twins, and Arts And Letters. Graham Crackers Comics is having a Doctor Who Day Signing at its downtown location tomorrow from noon to 3:00 PM. Fans will have a chance to meet artists Andrew Pepoy and Jason Millet. The Square Roots festival is taking place this weekend on Lincoln Avenue between Montrose and Wilson. Lydia Loveless, Cracker, and Dolly Varden are among the music acts scheduled, and there will be craft beer, dance lessons, and a kid zone. According to Chicago Tribune media columnist Robert Feder, WXRT air personality Terri Hemmert’s weekly Breakfast With The Beatles program will not go missing while she takes a month off to recover from back surgery. Hemmert, who hopefully will be well enough for her annual master of ceremonies gig at Fest For Beatles Fans - Chicago in August, recorded some episodes of Breakfast before her surgery. Drazin’s Destiny. Piano accompanist and former member of the Famous In The Future comedy group David Drazin will be providing a live soundtrack to the classic Fritz Lang silent film Destiny next Saturday at 3:00 p.m. at the Gene Siskel Film Center. Chicago-based quartet Wired Minds have a release party coming up on July 23 at Schubas for their second EP The Death Of The Fear. “Listening,” the first single, is an impressive techno/guitar-driven tune with emotive vocals. I was happy to see Chicago’s reluctant celebrity The Walking Man downtown yesterday with a faint but gracious smile on his face. He’s apparently recovered enough from a recent attack to get back to doing what he does best. Contrary to speculation following his being hospitalized, The Walking Man did not lose his eyesight. 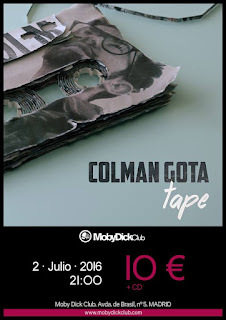 Vocalist-bassist Colman Gota from the Madrid-based power pop band Insanity Wave creates edgy pop tunes reminiscent of Elvis Costello and Graham Parker on his second solo effort Tape. The 11 tracks were recorded with Mitch Easter of Let’s Active fame and multi-instrumentalist John Pfiffner at the same Fidelitorium Studios in North Carolina where Easter produced Insanity Wave’s third album back in 2000. Gota exudes an independent spirit and an urge to make the most of life throughout Tape, while delivering songs with an emphasis on guitar and organ that underscore his fascination for vintage indie rock. “Time keeps on ticking down and all you’ve done is run around,” Gota sings on “Another Chance,” while on “Do What I Want,” a tale of breaking free from a mundane nine-to-five job, he asks, “Whatever happened to the rebel inside?” The energetic “Waiting For A Chance” and the Motown flavored “Something I Don’t Need” likewise put biting lyrics to a steady beat. As a change of pace, “A Long Week Ahead” is a touching show of support set to a strings and acoustic guitar arrangement. “Back In Time,” a catchy song about traveling into the past to prevent mistakes that scuttled a relationship, could have sprung from one of Tom Petty’s early albums. “Sing Your Song” is an inside look at the music business, while “Tape” honors the cassettes that first introduced Gota to the music he’s loved ever since. “Plenty of good stuff on both sides,” he sings, and the song’s swaggering classic rock arrangement emphasizes the point. Happy 4th of July. On this great American holiday, let’s consider the great American novel. During the leisurely summer months, people often find extra time to read a book on the beach, or actually write one. If you’re among the latter group, you could benefit from some advice from self-published author Susan Kaye Quinn. She’s a former rocket scientist who launches sci-fi series at an accelerated pace (involving over 50 books so far) and knows quite a bit about marketing them. Quinn is a member of the SCBWI (Society of Children’s Book Writers and Illustrators) group I’ve belonged to for a number of years. She’ll be conducting a free workshop titled Series and Serials – Writing Stories That Keep Your Readers Coming Back For More through that group on Wednesday, July 20 at the Barnes and Noble store in Schaumburg. The workshop will focus on how to expand the structure of a story over the course of a trilogy, five-part-series, or nine-part serial. Those in attendance are encouraged to take notes and ask questions. Her presentation at Barnes and Noble is sure to be beneficial for aspiring as well as published writers. You can also find pages of essential tips in Quinn’s Indie Author Survival Guide, which is now in its second edition, and For Love Or Money - Crafting An Indie Author Career. Both books, along with Quinn’s popular novels in the Mindjack, The Royals Of Dharia, and Singularity series, are available on Amazon. Her short stories, often related to her serials, have appeared in sci-fi anthologies. Susan Kaye Quinn is not the only published writer in our group. Kym Brunner, Cherie Colyer, Mike Kelley, Marian Manseau, Terri Murphy, and Katie Sparks all have books on the market. Veronica Rundell’s literary agent is currently pitching Rundell’s YA novel to publishers. I’m honored to be part of this collection of talented people and have benefitted tremendously from their advice. 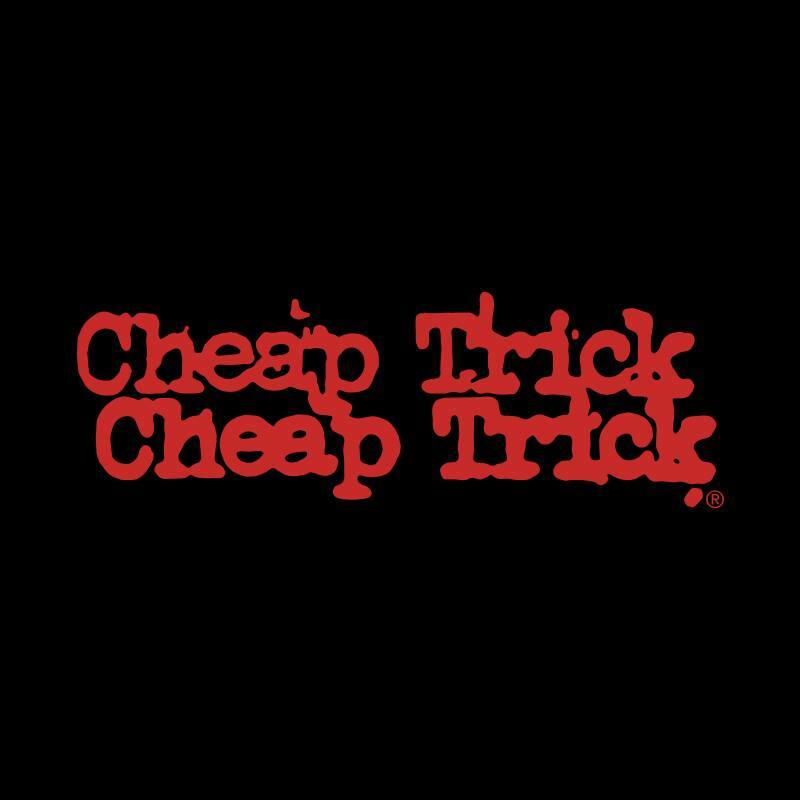 Cheap Trick will be at SummerFest in Milwaukee on July 7. Best wishes for a full recovery to WXRT air personality Terri Hemmert, who’ll be taking about a month off due to back surgery. Frank E. Lee, who retired from the station, will be filling in for Hemmert while she’s away. The Roots and Donnie Trumpet will kick off Taste Of Chicago 2016 on Wednesday, July 6 with a concert at the Petrillo Music Shell. Other acts scheduled to perform through July 10 include Kongos, Elle King, and Transviolet on Thursday; The Decemberists and Shakey Graves in a WXRT show on Friday; Billy Idol and the Chicago-based David Bowie tribute band Sons Of The Silent Age on Saturday; and The Isley Brothers and Sheila E. on Sunday. The Old Town, Wells Street, and Gold Coast art fairs have already taken place, but Chicagoans can still catch some paintings, photographs, and sculptures outdoors at The Millennium Art Festival, which takes place next Friday through Sunday on Lake Street at Michigan Avenue. Unfortunately, Artfest Michigan Avenue, which was scheduled for July 15 – 17, will not be held this year due to the construction of the new Apple Store. Checking out the Millennium Art Festival on Saturday before seeing to Sons Of The Silent Age at Taste Of Chicago would be an art/music mashup that would do the Thin White Duke proud. Milwaukee’s annual SummerFest, which is like Taste Of Chicago, except with 15,000 more musical acts, continues through July 10, with a day off on the 4th of July. Upcoming shows include Bodeans on July 3; Garbage on July 6; Cheap Trick on July 7; Paul McCartney on July 8; Neil Finn on July 9; Chris Isaak on July 9; and Sting and Peter Gabriel on July 10. The Telepaths, Lifecoach, and Steven Gilpin are performing at the Rock And Roll Firworks! show at Phyllis’ Musical Inn tomorrow night. On Monday, the venue will be hosting its 30th Anniversary All-Star Jam from noon to midnight, with over 10 bands scheduled to rock throughout the day. The triple bill of Rick Springield, Loverboy, and The Romantics will perform as part of the Grand Victoria’s Concert Series in Elgin this Sunday night. Comedian/magician and now screenwriter Penn Jillette and director Adam Rifkin will be at The Gene Siskel Film Center next Thursday, July 7 for the Chicago premiere of their new comedy Director’s Cut. The film also stars Herbert Blount and Missi Pyle. The official trailer for director Ron Howard’s new documentary Eight Days A Week: The Touring Years can now be seen on the Slate website. It’s less than a minute long, but is still generating a lot of interest. According to Slate writer Marissa Martinelli, the film will include previously unseen footage of The Beatles performing live from 1962 through 1966. It’s set to be released worldwide in September. Graham Crackers Comics is having a Doctor Who Day Signing at its downtown location next Saturday, July 9 from noon to 3:00 PM. Fans will have a chance to meet artists Andrew Pepoy and Jason Millet. Square Roots, a festival being staged on Lincoln Avenue between Montrose and Wilson next weekend, will feature live entertainment, craft beer, dance lessons, and a kid zone. Acts scheduled to perform include Lydia Loveles, Cracker, and Dolly Varden. If next Saturday’s Peter Gabriel and Sting concert at the United Center follows the same format as their recent shows in other cities, fans can expect to see these two popular musicians performing a number of songs together, in addition to each performing on his own. Cliff Johnson and The Raine will be sharing another bill with Kevin Lee & The Kings on Saturday, July 9 at FitzGeralds in Berwyn. The Powerpop Showcase is coming July 14 to Subterranean on North Avenue in Chicago and will feature performances by Mooner, Twins, and Arts And Letters. Metropolly, a band that has taken part in a number of Halloweekend Tribute shows over the years, will be performing an acoustic set at the Fetching Market in Munster, IN next Saturday, from 10 a.m. to noon. The city of Lockport, IL has a bunch of offbeat and entertaining things coming this summer under the banner of Great Midwestern Ballyhoo. A gentleman in a very steampunk outfit was handing out flyers at C2E2 in April advertising events such as Comicopolis, Z.A.P. Movie premiere, and a steampunk weekend.